"Claremont has been doing my taxes for many years, and I've never found their service to be anything other than excellent. I'm sure they do a lot of individual taxes, but they always seem to be available to answer any questions I have." "John Cencig and his staff have been our accountants for over 35 years. They provide our monthly financial statements with current months P&L, prior year comparison and budget comparison reports. They help us to formulate a yearly budget and reconcile the accounts along the way. John and his staff are always very responsive to answer questions or help with other services on short notice. " "John and his staff help keep us up to date on the changing tax laws and how they impact our business. They also help us manage our cash flow with their monthly reports. " "Claremont has been exceptional with any of their clients I have spoken with as well as myself. The owner John and his associates are very attentive to detail and responsive when a request is made." 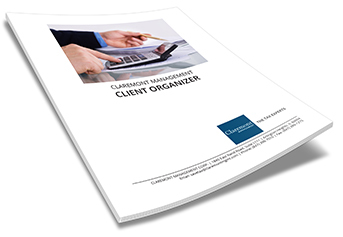 "I have interacted end worked with dozens of firms and over the years Claremont and John have myself and other clients that rave about their dedication and catering to each different and necessary needs to the client." "I highly recommend them from everything to personal returns to business returns to just common knowledge and direction on what to do or how to handle taxes."